BetumiBlog: Getting Ready for Ghana: vegan, gluten-free, adinkra shortbread! 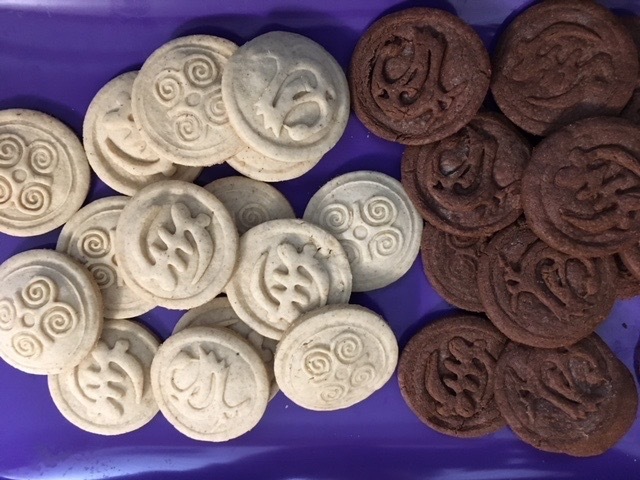 Getting Ready for Ghana: vegan, gluten-free, adinkra shortbread! Well, it's been several months of designing and printing and taste testing, but at the end of February we head to Ghana to share with several folks (at Kawa Moka and Flair, among others). We're taste testing them this morning at New Leaf. So far they're rated between 9 and 10. (0 being "yuk" and 10 being "yum." I'm feeling pretty good.